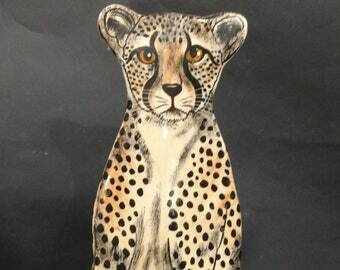 on FB and look through my albums on my art page. If you want to special order a custom piece please contact me. 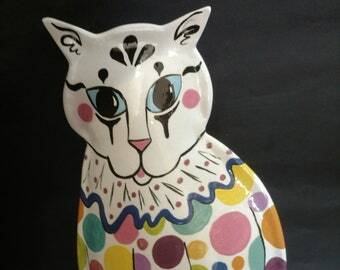 Clown Kitty sculpture, bright and cheerful 15.5" x 9"
Great finished product, Nina worked fast and was responsive to messages. I love it! Fast shipping, great price. Thanks! This is a very beautiful vase that we will cherish! Thank you! 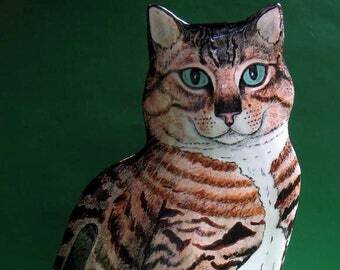 I have been making cat and dog pottery for about 20 years. 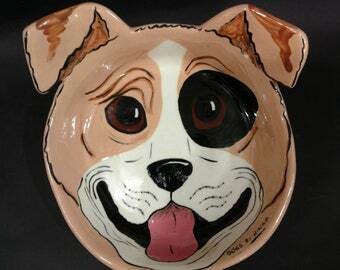 I have made things to special order, portraits of beloved pets,as well as designing several lines for licensing. 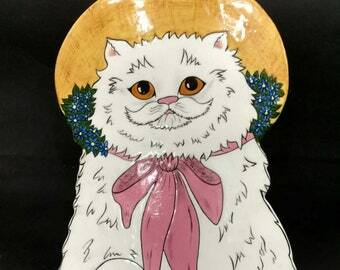 I opened the etsy shop to offer special order portrait tiles, bowls, plates, cups,pet urns. 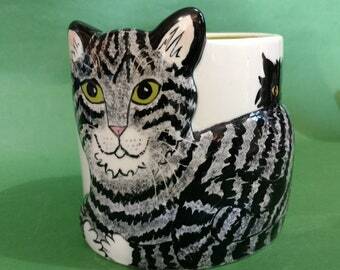 I make great gift items for cat lovers and dog lovers. I offer art prints of some of my cats and dogs. 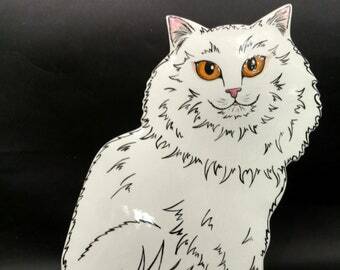 The memory boxes set with a tile portrait of your cat or dog or horse is a great memorial gift item for you or a friend. Tiles also come framed if you want or just plain.